Car accidents are one of the most common types of personal injury cases. Accidents usually occur because of someone else’s negligence. If you are involved in a car accident and the other person is even slightly at fault, you have a personal injury case against that person if you are injured or feeling any pain at all because of the crash. All drivers in California are required to carry car insurance to pay for any claims against them. Therefore, while your claim is against the person driving, his or her car insurance company is the party that will usually be paying you for your claim. Slip and fall cases are also very common. People can get seriously injured because of a fall and they deserve to be compensated if the owner or operator of the premises is not maintaining the property in a safe condition. It’s a sad reality that dogs cause injuries to people. Even the nicest and cutest dogs can bite someone and cause injury. It is important for dog owners to understand that they will be held liable for their dog’s actions if their dogs bite and/or cause injury to someone. A dog owner will be held liable whether the bite occurred in a private or public place. In California, it does not matter whether or not you knew of your dog’s propensity to bite. All an injured person needs to show is that your dog bit him or her in a public or private place. If you think you have a personal injury case to pursue, it is important that you speak to an experienced personal injury attorney as soon as possible. Most attorneys provide free consultations and are happy to provide free advice to you without any obligation. West Covina car accident lawyer, Lem Garcia, is always available to speak to you directly if you have any questions or concerns about your case. 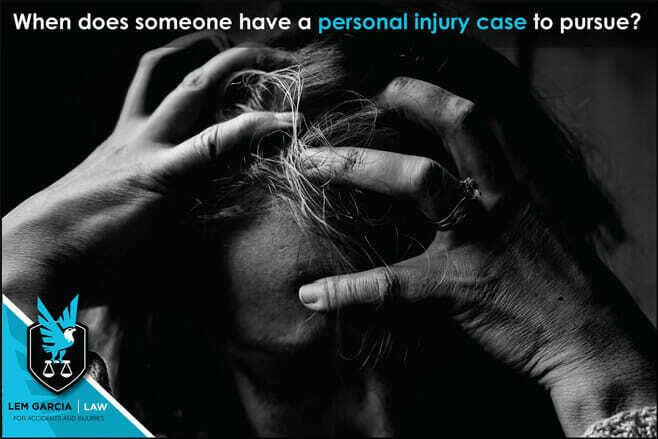 Lem Garcia Law is dedicated to helping injured victims recover as much as possible for the injuries they have suffered because of someone else’s negligence. Call today for a free case strategy session.